Oxfordshire is one of the most beautiful counties in England. There is plenty to offer whether you are interested in the rolling hills of the Cotswolds or the rich history and culture to be found all over the county. However, there are also plenty of opportunities for those looking to explore haunted places in Oxfordshire to find restless spirits. 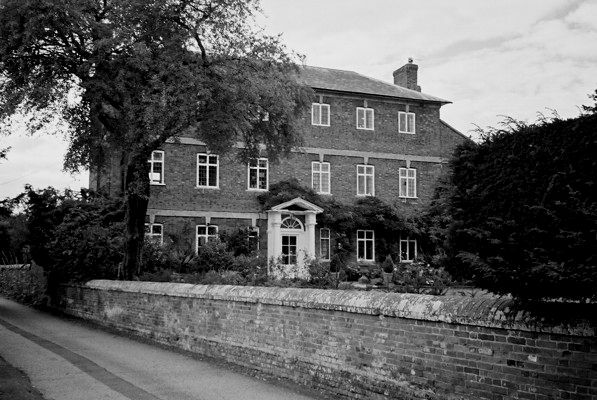 Cumnor Place is one of the most haunted places in Oxfordshire. 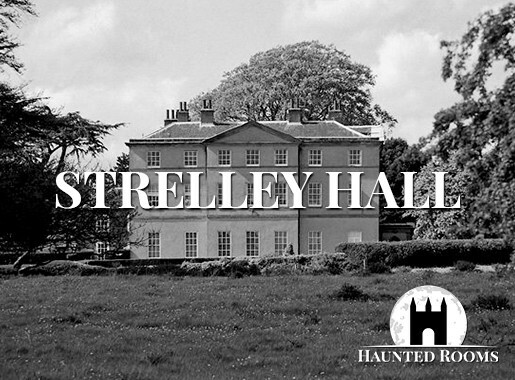 It is said to be haunted by the ghost of Amy Robsart, who was the wife of Robert Dudley – a man best known for having a passionate affair with Queen Elizabeth I! In 1560, Amy Robsart passed away at Cumnor Place under some fairly mysterious circumstances. It is a popular theory that she was murdered in order to free her husband up to be with the Queen, although the death was staged as an accident. This theory has gained some credibility given that Amy’s ghost is sighted on the stairs where she broke her neck in a fall! Is this her spirit trying to reveal the true circumstances behind her death all those years ago? Another twist to this haunting tale is that nine clergymen from Oxford participated in an exorcism to rid Cumnor Place of Amy’s ghost. During the ritual the spirit was ‘drowned’ in a nearby pond. To this day, that particular spot will never freeze over during cold weather even if the rest of the pond does! 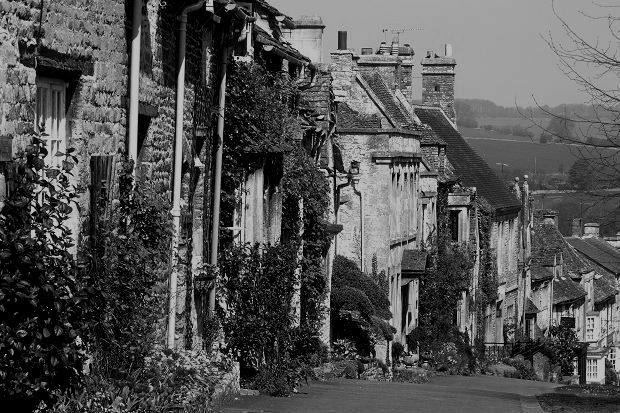 If you are planning a trip around haunted Oxfordshire, then the village of Burford should certainly feature on your list of places to see. Many visitors describe an overwhelming feeling of terror upon driving into the village which is said to be under a dark cloud! 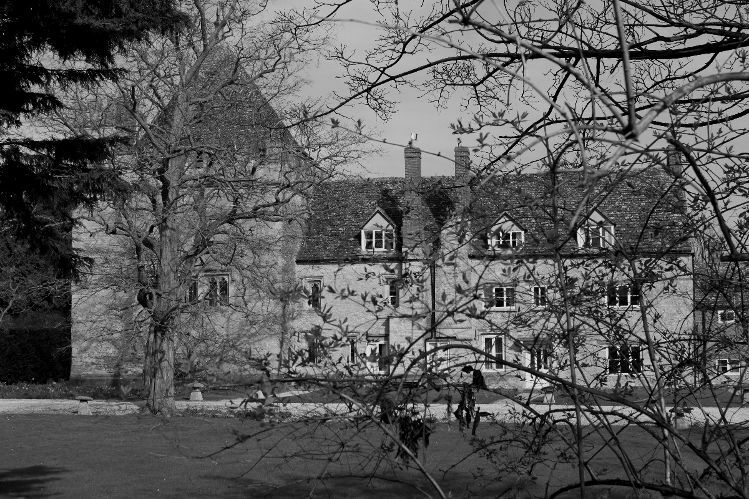 There are two main buildings in the village which play home to a number of Oxfordshire ghosts – the priory and the Old Rectory. The priory houses the village’s Anglo-Catholic nuns while their chaplain lives in the nearby Old Rectory. 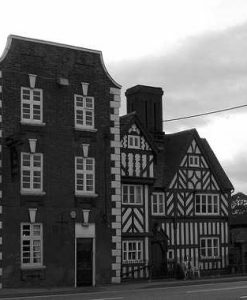 There is a long history of paranormal activity linked to both of the buildings. There have been reports of disembodied screaming and the sounds of monks singing in the dead of night. There are also regular sightings of various different apparitions including a small monk in a brown robe and an old fashioned gamekeeper carrying a shotgun! The Courtiers is a house located in Clifton Hampden which is also one of the most haunted places in Oxfordshire. The spirit that calls The Courtiers home is said to be the ghost of Sarah Fletcher. Apparently her ghostly form is so beautiful that many have fallen in love with the spectre. It is said that if you ignore her when she appears she will get angry and do everything she can to make a nuisance of herself during your stay! Her story is certainly a sad one. It is said that her husband, a respected naval Captain, left her and attempted to marry a wealthy heiress. However, Sarah barged into the wedding and announced that they were still married and that he was committing bigamy. The wedding stopped, and the Captain returned to sea never to return. Sarah was broken hearted and ended up hanging herself from her four poster bed in The Courtiers. Stanton Harcourt Manor has its own legend known as the ‘Legend of the Lady Pool’. It is said that several centuries earlier, Alice Harcourt was murdered in the Pope’s Tower by the chaplain while the rest of her family were at mass. It is said that her restless soul now wanders backwards and forwards between the chapel and Lady Pool. On the rare occasion when the pool dries out, her spirit is able to escape to explore the ruins of the manor. Blenheim Palace is one of the most popular attractions in Oxfordshire for tourists, but it is also one of the most haunted buildings in the area! It is of course, known for being the birthplace of Winston Churchill. The palace was built as a display of victory for the French during the Spanish Succession Wars and was given to the first Duke of Malborough as a gift for his performance in battle in 1704. 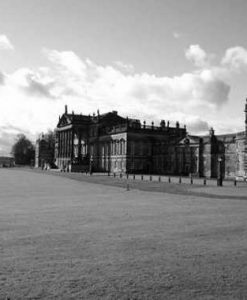 However, the Duchess was not happy living in such a grand place and made constant demands for changes to the builders and architects. In the end she fell out of the Queen’s favour and the building work was halted in 1712 when funds were withdrawn. The Duke was then forced to complete the palace out of his own pocket. Since then several Dukes and Duchesses have expanded and renovated the palace. In terms of the ghosts that reside in Blenheim Palace, the first Duke of Malborough was believed to have haunted the Dean Jones Room, but he has not been reported since Winston Churchill was born in that same room! There are also multiple reports of the ghosts of Roundhead soldiers all over the palace with some of the more common sightings describing soldiers huddling by the fireplace. Finally, there have been reports of poltergeist activity and on one occasion Royal commissioners visiting the palace say they were forced out by an unseen presence! The Bear Inn, or The MacDonald Bear Hotel as it is now known, is more than 900 years old and is surrounded in a rich history. 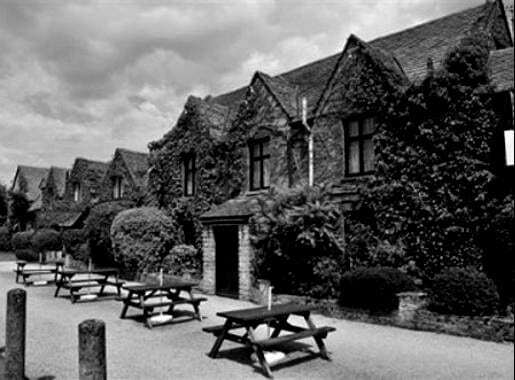 It is not only one of the most haunted places in Oxfordshire, but it is also one of the most haunted hotels in the entire British Isles! There are said to be two different spirits who call the hotel their home – one is said to be the ghost of a lady named Elizabeth Downing who died in 1768 while the other is said to be her eight year old son Christopher Downing. Of the two, it seems to be young Christopher who is the most active. He is often spotted wandering the corridors of the hotel and will sometimes try to get guests of the hotel to play at hide and seek with him! Although Elizabeth and Christopher are the only two spirits to have been formally identified, there are other instances of paranormal activity in the hotel. It is common for guests to hear crying coming from one of the hotel rooms even when it is unoccupied. Some say that this is Christopher, but others believe that it is another ghost given that Christopher usually seems fairly carefree! The rumour is that during the Civil War, the daughter of the hotel’s owner found herself pregnant at the age of just 14. This brought great shame on the family and her father had her bricked up inside her room and it is her or her baby that is heard crying. However, there are no records that confirm or deny this particular ghost story! If there is one thing that Oxfordshire is certainly not short of – aside from ghosts – it is pretty country hotels. Another great example that fits into both categories is the beautiful Holt Hotel. The hotel dates back to the 15th century and was once a coaching inn. 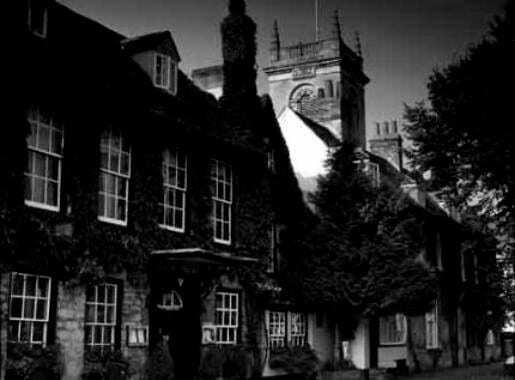 It is well known for the pretty exterior, but this picturesque facade is hiding something much creepier because The Holt Hotel is one of the most haunted places in Oxfordshire. One of the most prominent ghost at The Holt Hotel is the spirit of highwayman Claude Duval. He is reported walking around the corridors of the hotel at night and occasionally he is even seen inside some of the bedrooms. Duval was the somewhat notorious leader of a gang of highwaymen who were responsible for multiple murders including one landlord of the hotel and his wife. Guests frequently report hearing his heavy footsteps in the hallways at night and female guests often feel uncomfortable like they are being watched – especially in room number 3! 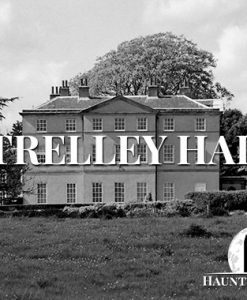 Do you dare to spend a night at The Holt Hotel? Oxford castle sits at the very heart of Oxfordshire and its history can be traced back as far as the Norman Conquest of England. Like so many castles it has certainly seen more than its fair share of execution, murder and other traumatic events which have left their mark on the building. Just some of the examples of paranormal activity that have been reported here include dark shadow figures and poltergeist activity! 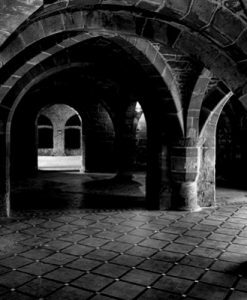 Why not come along and participate in an Oxford Castle Ghost Hunt?